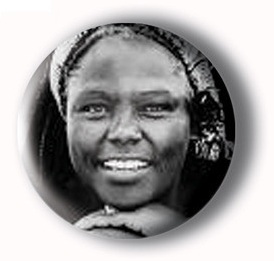 February is Black History Month and March is Women’s History Month so we are showing our support for both with this Black History Month button of Wangari Maathai. She only died in 2011, but tomorrows history is created from todays present, and Wangari Maathai was a wonderful person, so we are pleased to highlight her here. You can purchase this Black History Month pin-back button, as well as other People of Colour buttons and Feminist buttons, here. This entry was posted in Badge-A-Minit and tagged black history, feminist, political on February 19, 2014 by Barry Badge.